This is another CCD image obtained at the Pico dos Dias Observatory. 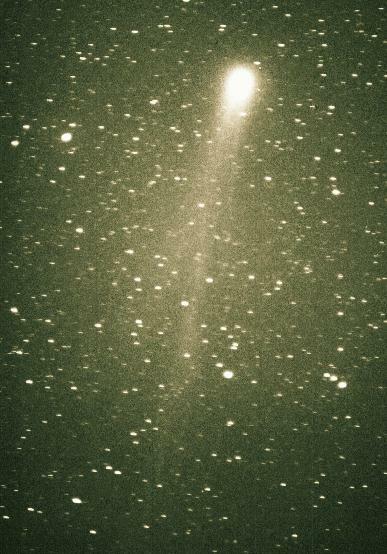 A very beautiful image of Hyakutake Comet taken by Rodrigo P. Campos on March 20, 1996. Several curved tails can be seen besides the ion one.